Rinsing vegetables is as much a safety issue as an aesthetic one. 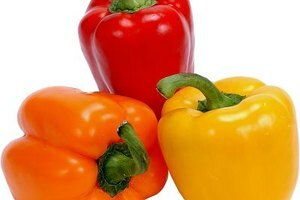 Most vegetables produce a waxy coating to help retain moisture. Winter squash have perhaps the thickest coatings of naturally occurring wax, whereas thin-skinned veggies have a less-perceptible, thin patina. After harvest, produce is thoroughly washed, which removes much of the waxy coating. Organic growers replace the naturally occurring wax lost during rinsing with beeswax, carnauba or shellac for protection during transport, while non-organic growers often apply FDA-approved, petroleum-based coatings. Natural or not, wax dulls the sheen of fresh vegetables and can harbor bacteria and pathogens. Scrubbing the wax from vegetables serves both aesthetic purposes and helps prevent foodborne illness. Wash your hands before you remove the wax from the produce or fruit. 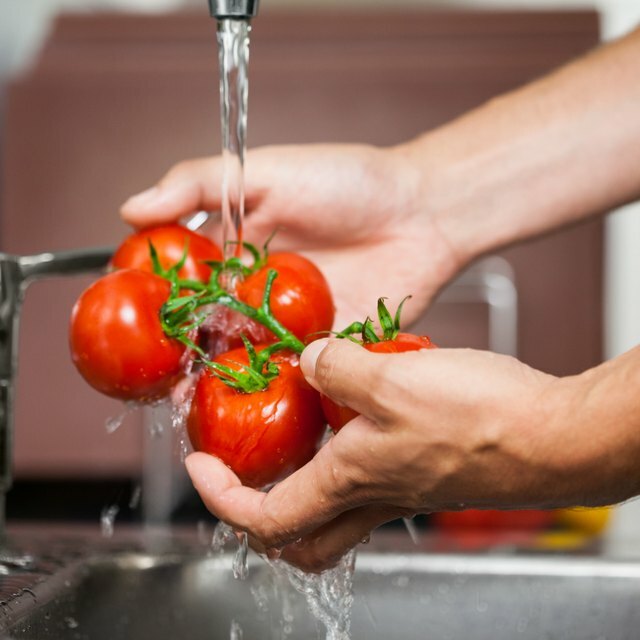 The U.S. Department of Health and Human Services recommends washing your hands and fingernails with soap and water for 20 seconds before and after cleaning and/or preparing produce. Rinse the vegetables under cool running water and rub the exteriors gently but vigorously with your hands. Friction likely plays a larger part in removing pesticide residue than the actual water temperature, according to studies performed at the Connecticut Agricultural Experiment Station in 2000. Scrub the vegetables with a vegetable brush while holding them under the running water. You can also use a clean, coarse nylon scrubbing pad. Dry the vegetables with paper towels. Examine the vegetables and check for more wax. If they still have a waxy film, pour some lemon juice in a bowl or add a teaspoonful or two of baking soda to a bowl of warm water and mix. Dip the vegetable brush or scrubbing pan in the lemon juice or baking soda mix. Scrub the vegetables vigorously and rinse. Use your judgment as to how much pressure to apply, depending on the firmness and skin of the vegetables. Some vegetables, such as melons, can handle a hard, vigorous scrubbing. Thin-skinned veggies, such as tomatoes, can't. Continue scrubbing the vegetables with the lemon juice or baking soda mix and then rinsing them until all traces of wax are gone. Rinse the produce under cool running water while rubbing vigorously with your hands a final time. Dry the vegetables with a paper towel. Never use household soap or commercial produce washes to clean vegetables, advises the U.S. Department of Health and Human Services. Baking soda and certain acids, such as vinegar, can alter the taste of vegetables slightly if you don't rinse them thoroughly afterwards. Kansas State University: What Should I Know About Washing Fruits and Vegetables?